Staff Selection Commission Eastern Region has already started the application process. And candidates who have applied now searching for the SSC Eastern Region Syllabus 2016. Here we are providing the complete syllabus and exam scheme. If you are eligible and not applied for SSC ER Recruitment then submit application before the last date. Interested candidates can only apply through its official website in online mode. For complete details visit the links given below. Know your SSC ER Department : Staff Selection Department was established in 1977 by Govt of India. Then SSC Department defined its sub department according to region wise. As it conducts various recruitment every year. Many candidates appear every year for Group B & Group C posts recruitment. The aim of the department is to conduct exam for Ministry and Departments of Govt of India. This time it is conducting recruitment for 728 vacancies. Summary of SSC Eastern Region Recruitment 2016 : Staff Selection Department has published notification for its Eastern Region vacancies. SSC ER Exam will be conducted for 728 vacancies. SSC ER Official Notification was published on 27.08.2016. Department allowed the eligible candidates to submit application from 27.08.2016. Last Date to submit the online application form is 26.09.2016. 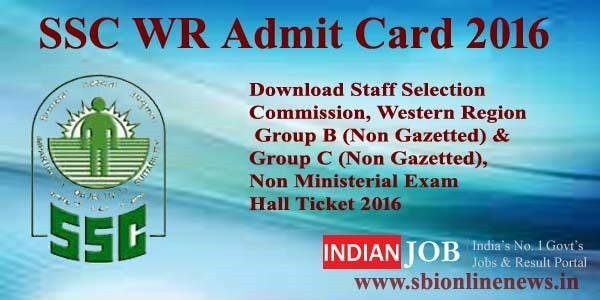 SSC Department will publish the SSC Eastern Region Admit Card 2016 before 15 days of exam date. This is the great opportunity for the candidates searching jobs in SSC Department. Govt Job Seekers are requested to fill the SSC Application Form. Candidates after filling the application form you must remember to download the call letter. If you have started preparing for exam then first visit the notification for exam details. Fetch the Exam Scheme,selection process and prepare time table accordingly. Candidates note that Skill Tests like Typing/Data Entry/Computer Proficiency Test and etc. will be conducted. Final Merit list will be based on the performance in both exams. So candidates have to pass both exams according to the selection criteria. Department will declare the SSC Exam Results very soon on its website after the exam process. Step 2- Check the exam link and open it. Step 3- Read the official notification properly. Step 4- Note the given SSC Exam Scheme. Step 5- Prepare a time table according to the syllabus. Step 6- Start preparation and score well in exams. 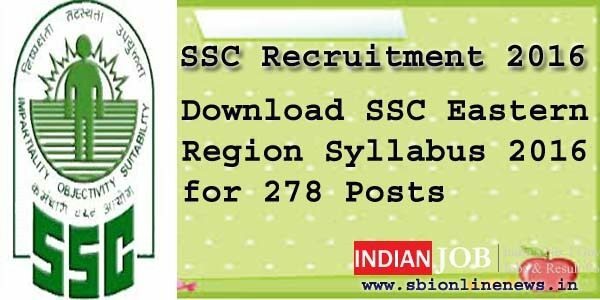 SSC Eastern Region Syllabus 2016 | SSC Exam Scheme : Department of Staff Selection commission Eastern Region has invited applications for 728 Vacancies. It has also published the exam scheme on its official website. 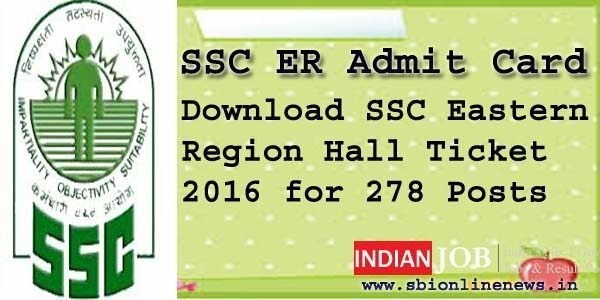 Aspirants download the SSC Eastern Region Syllabus 2016 for exam preparation.